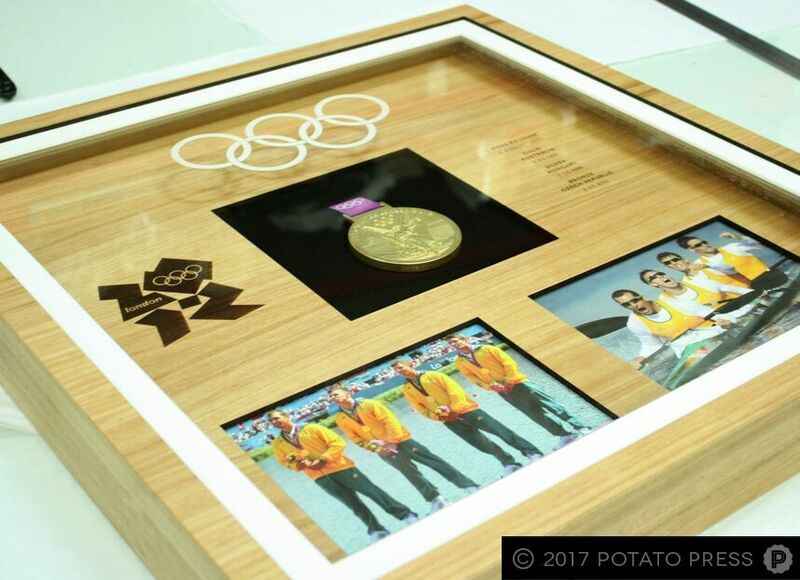 One of our most prestigious custom design projects, we were contacted to build a custom case for the 2012 London Olympics gold medal rowing team from Australia! Designed specifically to be free standing or mounted on the wall, we chose an encapsulated veneer and Australian blackbutt timber frame for a classic, timeless look that paid homage to our Aussie heritage. 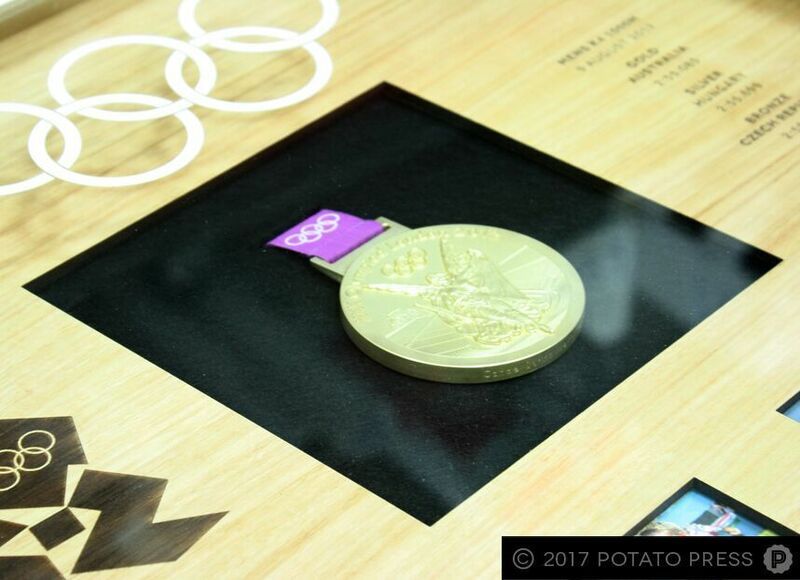 Laser etched elements were integrated to display the London Olympics logo, as well as the gold, silver and bronze medal finalists and their times, and UV printed acrylic was used for the Olympic rings on the top layer of the award case. 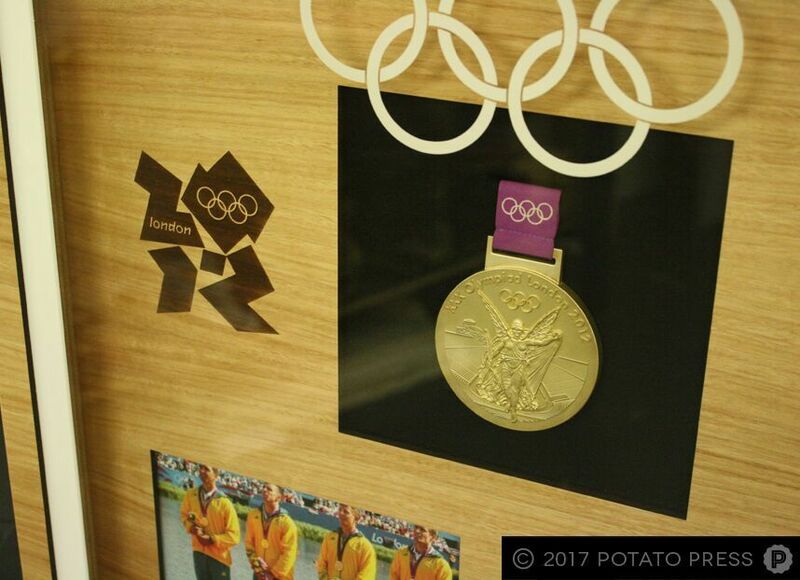 The gold medal was prominently displayed in the centre of the case, and two photos of the Australian team were displayed below for an added touch of sentimentality. We are thrilled to take part in honouring our local Olympians and gold medal winners, and know this custom case will be treasured for generations to come. Interested in displaying your award in a customised case? Get in touch with our skilled team of professional designers for more information.